Subscribe to our blog to get updates on our newest posts! Visit our original WorldRiders2.com website! So, where do you go to cycle when you’ve already visited 101 countries? Why not your OWN COUNTRY? 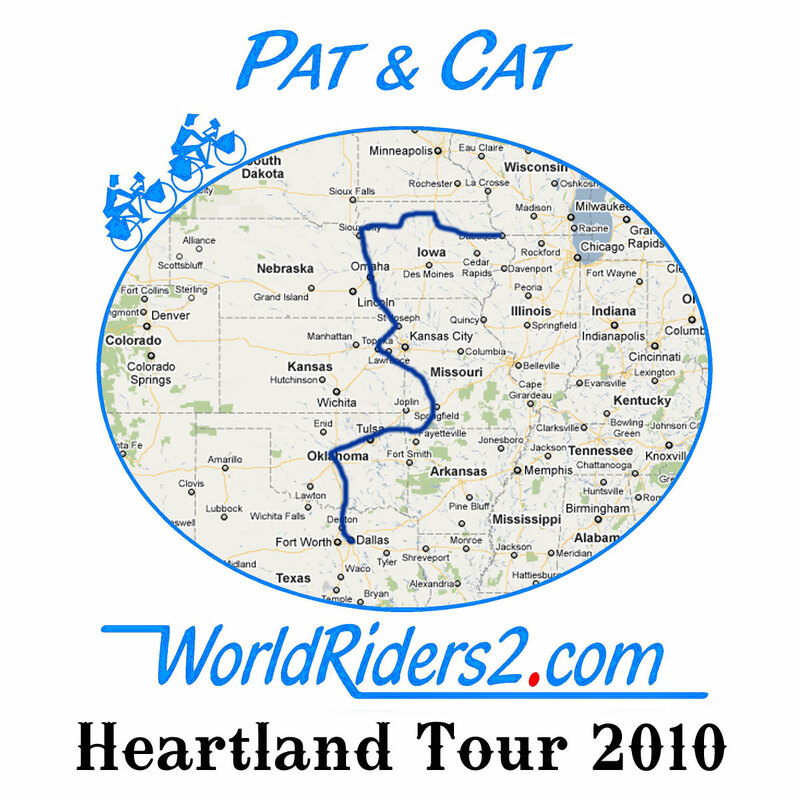 We’ve been up and down the both coasts and cycled across the USA through the south and the northern tier but never THE HEARTLAND! We’ve both been to Dallas, Texas but not with each other. We both liked Dallas, so why not start there? A few days in Dallas to make the bikes road ready then off to the north. First stop, Center, Oklahoma and second stop Shawnee. These places are part of Pat’s ROOTS. His Grandmother was born in Center way back in 1895. It was “Indian Territory” in those days. 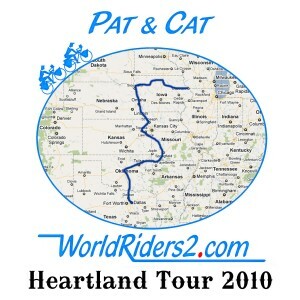 After visits to OK City and Tulsa we’ll ride east into Arkansas then north to Branson, Missouri. Take in a couple of shows then sort of ZIG ZAG north along the Missouri River. We began to hear of RAGBRAI while cycling in Europe. We met people in Africa and South America who had ridden RAGBRAI. Then spend a week with 8,500 other crazy cyclists. Since 1973 ever growing crowds of crazies have survived the ride.